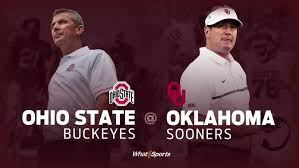 Head out to Fuego's to watch OUr Sooners take on the Ohio State Buckeyes! We're going to need to you be loud for this game! Games starts at 6pm. Fuego's will have some drink specials, so grab your friends and get to the Houston Sooners Headquarters for a great time! We're staying until Fuego's kicks us out!